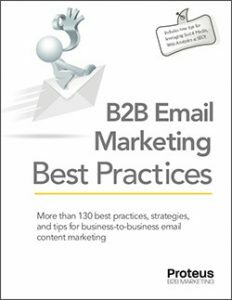 The typical B2B company often has plenty of literature available on its products and services. Once closely guarded as proprietary and available only to prospects vetted by the sales staff, this literature increasingly appears on company websites as B2B companies struggle to differentiate and distance themselves from competitors. While this is great information for those visiting the website, these assets often sit idle in terms of attracting visitors to the website; these brochures, newsletters, sell sheets, technical papers, white papers, and case studies have been created without search engine optimization in mind. In some cases, these materials are doing nothing in terms of attracting visitors. In others, the posting of these materials to corporate B2B websites can lead to a negative search experience. I noted one such experience (an American Seating pdf) in the last article. These materials are generally created by advertising agencies, marketing firms, and internal marketing departments. The hard, detailed content of these materials usually comes from company experts who labored over the exactness of the technical information. Each of these parties, however, is generally oblivious to search engine optimization. Due to the time and money that went into creating these assets, they are often viewed as sacred in their original form (likely for hardcopy distribution), and B2B marketers typically fail to go back to these assets and modify them for search. Yes, this may create two slightly different versions of the same piece, but there’s little harm in that. While reworking an entire B2B website for SEO can be a daunting and expensive task, by simply optimizing existing assets for search engines, you can quickly rework these individual assets to serve as organic landing pages for desired search terms. After determining the keywords for which you want to be found, determine for which of these keywords your site ranks well. Then, using the remainder of keywords (those for which you currently don’t rank well), review all of the other B2B materials you have on your site to determine what materials can be reworked to serve as organic landing pages. To be found for a specific search term, there needs to be an optimized landing page on the website that revolves around that search term. Effective search engine optimization requires each significant page in a website have its own song, i.e., each page is optimized to specific search terms. You may be able to get two or three closely related search terms to point to the same landing page, but, typically, if the search terms aren’t very closely related, they should have different landing pages. Even when terms appear to be related, for instance “healthcare consulting” and “healthcare consultant”, given the amount of individual competition in the search engines for these terms, each term will likely need its own landing page. Reworking existing assets to serve as organic landing pages usually isn’t that hard. The same content optimization techniques used for web pages applies to these assets. Pay attention to title tags for these assets. Also be sure to rework titles, copy, headings, etc. to ensure alignment with the targeted search term for which you’re optimizing the asset. Keep the content focused. As noted above, each organic landing page needs to have its own song. If the content of a particular asset is long and multi-faceted, consider breaking it up into distinct assets, each with focused subject matter aligned to the respective, desired keyword. Be sure to integrate these assets into your site through intra-site linking. This doesn’t mean link to these assets. Obviously, you want to do that. Rather, make sure you build links from within these these assets to other areas on your site. In the event that you keep some of these assets in pdf form, be certain these documents contain hyperlinks. Regardless of whether the searcher chooses to “view as html” or download the pdf, unless you put links into these documents, the searcher will arrive at a dead end. Unless the searcher can click through from the pdf to your website, his only option will be to return to the search results and further explore your competitors. Creating optimized landing pages for all of your desired search terms can be a daunting task. However, you likely have a rich repository of assets that can be modified for search engine optimization. Be sure to leverage what you already have.